The wait is over! J.C. Newman's solid and affordable Quorum cigar is now available in a deliciously dark Maduro wrapper leaf. Expect the same high quality smoke at an awesome price, this time with a hearty taste of the rich and sweet maduro character you crave.Quorum Churchill Maduro is a medium bodied smoke with smooth tones of cocoa, cedar, and more in a traditional 7x48 Churchill vitola. Like the title says, Just a good all around cigar. 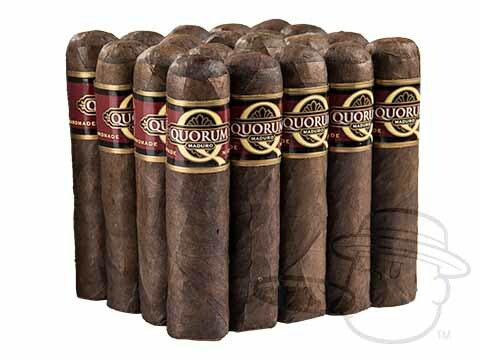 Quorum Short Robusto Maduro is rated 4.4 out of 5 based on 2 customer ratings.